AC/DC and an ice cold beer go together like rock and roll. 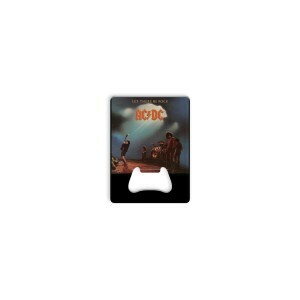 So pop open a cold one and turn up the volume with this AC/DC stainless steel bottle opener. Measures 2" x 3.25". This is a print-on-demand item. Please allow three extra days for processing and shipment of your order.Print-on-demand items may only be returned or exchanged in the case of a damaged item.